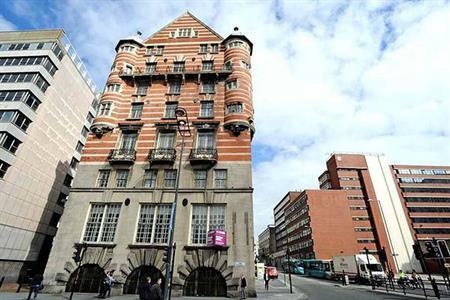 The former headquarters of the White Star Line shipping company that built the Titanic is to open as a themed luxury hotel near the ACC Liverpool. The 65-room hotel is expected to open in April this year following a £7m refurbishment. The spa is due to open later in the year. Each room will feature a reference to the White Star Line or the era that the Titanic was built in. Two of the rooms will be named after fictional characters Jack Dawson and Rose Dewitt-Bukater, played by Leonardo DiCaprio and Kate Winslet in James Cameron's 1997 film about the Titanic disaster. The dining rooms will be modelled on the Titanic's interior design, while the hotel's bar will offer views of the Liverpool waterfront from two 100-ft balconies on the roof of the building. QR codes around the property will allow guests to easily access information about the history of the Titanic via their smartphones. The Grade II-listed property will be located on Liverpool’s James Street, a 15-minute walk from the ACC Liverpool.